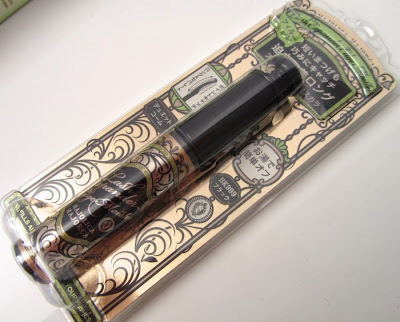 Lash Expander Edge Meister F (1260yen/S$25.90) is the first film-type mascara by Majolica Majorca that can be removed with just warm water. This was recently released as part of the Fantastic Fantasy collection for autumn . It features a "duet" comb. The side with more teeth is for adding length and separating lashes while the other side is for "point catch" of shorter lashes at the corners and along the lower eyelid. 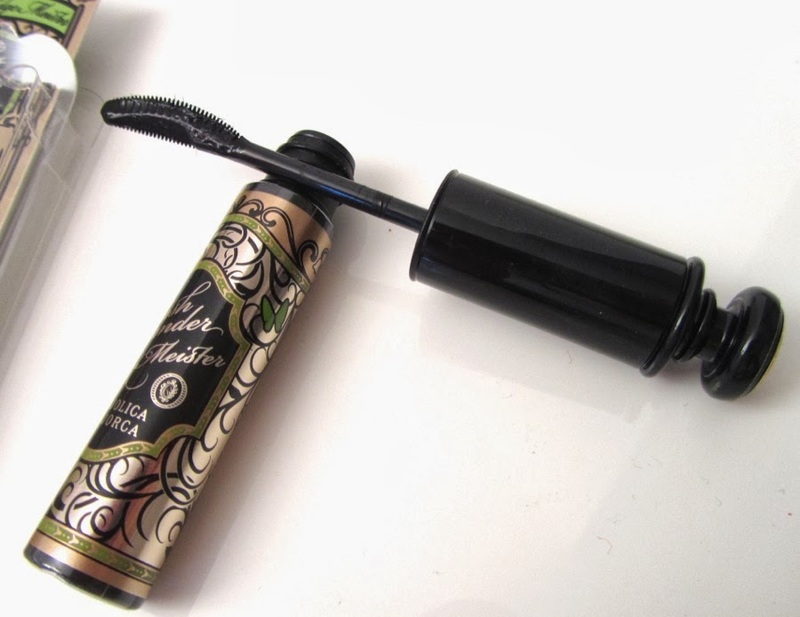 Like most of other Majolica mascaras, this contains black fibres that are 4mm long. The formula is relatively 'wet' and slick, which makes for easy gliding through the lashes even on repeated coats. However, the comb does tend to pull out of the tube with quite a bit of product, so you may want to wipe it down a little otherwise the mascara tends to gloop onto the lashes and weigh them down. I normally avoid fibre-based mascaras as they can irritate my eyes, but with Edge Meister F, as long as I am careful to pick out any stray fibres that fall along the lashline, it did not cause any irritation and there was no fallout during the rest of the day. Here's a pic of my bare lashes after curling with Tarte's eyelash curler. 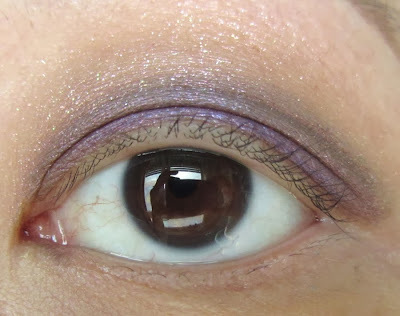 I love the intense jet black shade which adds great definition to my lashes. Edge Meister F also does a good job of adding length and some volume. My lashes are naturally thin and sparse, so no mascara can ever add enough volume to give the thick false eyelash effect. If there is too much product on the comb, it tends to make my lashes stick together but this can be easily corrected. It does take a bit more effort and time to ensure an even application compared to some other mascaras but the final lengthening effect is worth it. 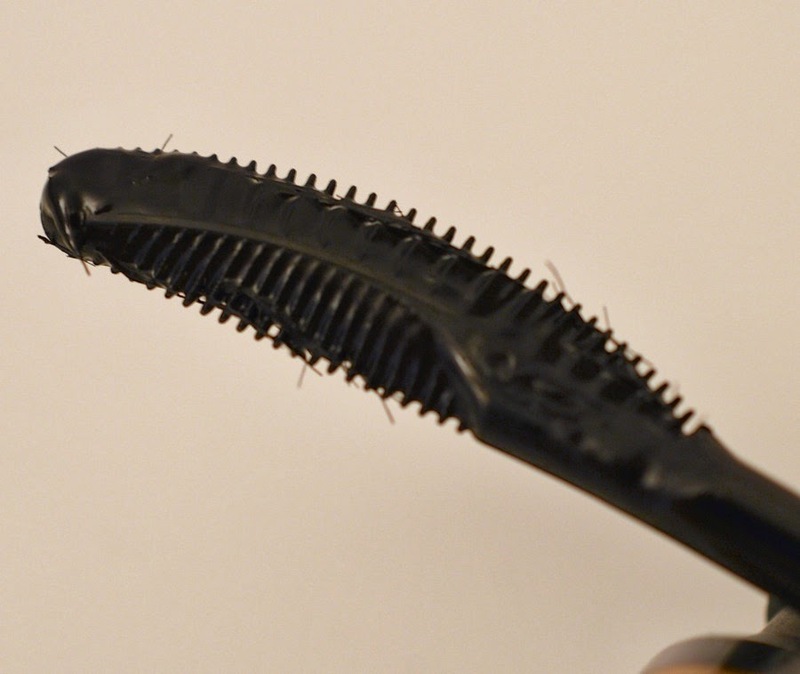 In terms of holding the curl of my lashes, it is just average. My lashes do not end up poker-straight at the end of the day, but there is also no extra uplift to them when freshly applied. 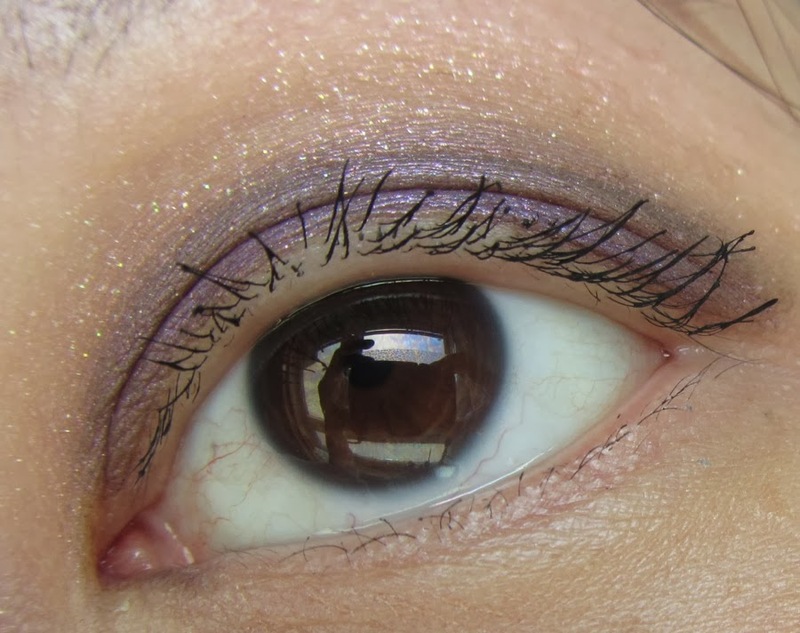 The long fibres can also look messy if they end up in a bunch on the lashes. As for removal, the mascara does come off when I take a warm shower, without the need to rub my lashes. 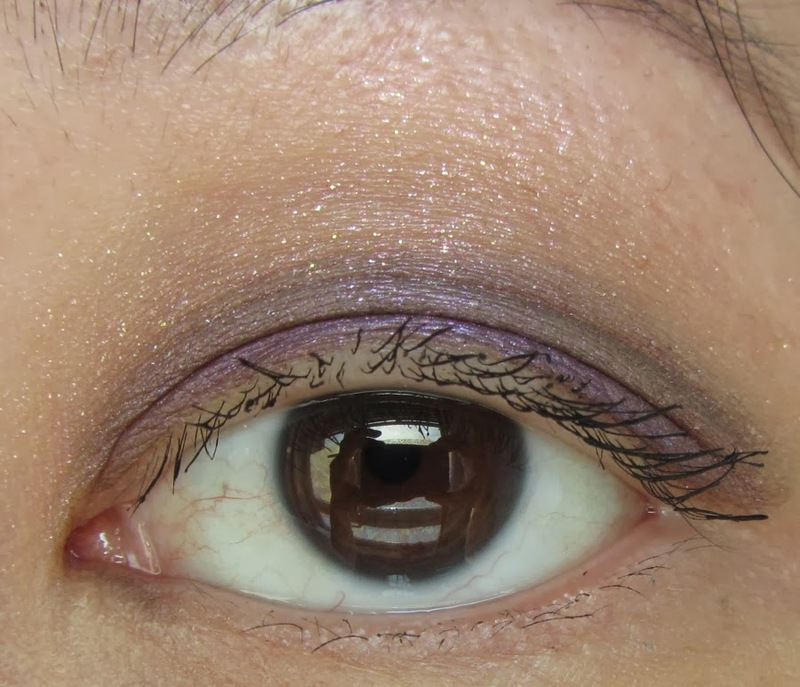 I usually use Lancome Bifacil to remove my eye makeup but it does not take off the mascara completely. The rest of it washes off in the shower, although some black bits usually end up around my eyelids, inner corners and under-eye area that can be easily wiped off. Below is another set of before and after pics. Overall, I liked Edge Meister F for the excellent definition and lengthening but it falls somewhat short in terms of curling the lashes. It is also smudgeproof and does not smear even after many hours of wear. Edge Meister F is available for US$16.50 on AdamBeauty.com. A friend helped me purchase this from Watsons in Singapore. Wow, I love how it really brings out your lashes. Too bad it doesn't help with curling the lashes though.